Former world champion Graeme Dott and 2013 world finalist Barry Hawkins eased into the second round of the UK Championship with comfortable wins on the first day at the York Barbican. Dott, a semi-finalist in 2006, beat Alexander Ursenbacher 6-2 and Hawkins brushed aside Ashley Carty 6-1. Unseeded Joel Walker shocked Alan McManus with a convincing 6-1 victory. 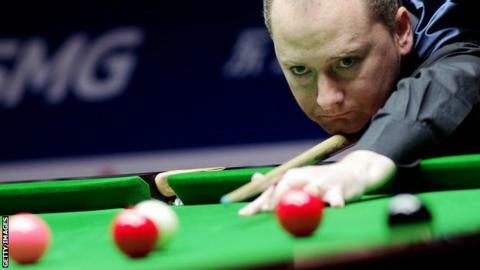 There were also wins for Peter Ebdon, Robert Milkins and Stuart Bingham, while Judd Trump received a bye. World number 11 Trump's progress into the last 64 was confirmed earlier in the day when his first-round opponent Rouzi Maimaiti of China had to pull out because of visa problems. Gloucester's Milkins romped to a 6-0 victory over Michael Leslie despite struggling with an eye problem, and Ebdon edged a tense final-frame decider against Ross Muir. Muir's fellow Scot Dott said his emphatic win did not fully reflect his match against Ursenbacher. "I played OK and managed to win the first four frames but it could have been any score," the 37-year-old Scot said. "He had a chance in every frame. "I am happy to get through. I have done all I have supposed to do, but 6-2 made it sound a lot easier than it was." World number nine Stuart Bingham demolished Thailand's Thanawat Tirapongpaiboon in one of seven matches in the evening session. "That was probably my best performance of the season," Bingham said. "If I carry on playing like that then someone will have to play very well to beat me. "My confidence is very high at the moment."